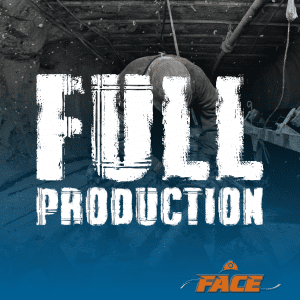 Full Production is THE podcast of the mining industry. Join Peter Finn as he navigates his way through the issues, wins and advances being made in the mining industry in the Australian-Pacific region. Peter has been working in mining since he was 17 years old and has dug his way to the top of the industry as a leader in contract labour supply and many other specialized services. The mining industry is like no other, so Peter handpicks his guests to talk about the issues and solutions that are rolled out across the industry week after week. Hear about the ways that mine operators are solving some of the most complex and head scratching problems and, of course, hear where all the hot jobs and careers are across the industry from the people that know it the best. On the Full Production podcast, Peter provides a platform for listeners to get behind the conversations that people are having in the mining industry. The only way to know what’s really happening is to know the right people – and this is something that Peter brings to the table week after week. Full Production gives you the window you need to leverage your career and take yourself to new heights, and plugs you into the pulse that drives the industry every day. Join Peter each week as he brings you the people that have the experience and the proven track record in dealing with the trials and tribulations of working in the mining industry.